Beginning January 1, 2014, your Medi-Cal coverage will now include some Mental Health care benefits. Please refer to your Evidence of Coverage (EOC) for more information regarding these new benefits. Gold Coast Health Plan (GCHP) will provide these services through Beacon Health Options. If you need mental health services, you can call Beacon Health Options at 1-855-765-9702, TTY 1-800-735-2929. If your doctor works with GCHP, you can keep your doctor. If your doctor doesn’t work with GCHP, and you want to keep that doctor, you can call Member Services at 1-888-301-1228, TTY 1-888-310-7347 for help. We will let you keep the doctor for up to 12 months, if the doctor agrees to work with us. 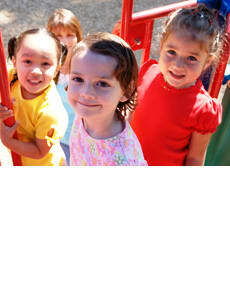 Apply for Medi-Cal and other social service programs at www.mybenefitscalwin.org. Care Management is a service that is available to you as a Gold Coast Health Plan member. Your doctor can ask us to assist you, or you can contact us yourself for a health-related concern. To reach the GCHP Care Management Department, please call 805-437-5656 or email: caremanagement@goldchp.org. If emailing, please include your telephone call back number and GCHP Identification Number for a prompt response. Deaf and hard of hearing members can call our TYY line at 1-888-310-7347. Dental Services for Medi-Cal beneficiaries under 21 years of age are currently provided as a carved out benefit through the Denti-Cal Program. Click here to search for dentists in your local area and throughout the State if you are a Denti-Cal beneficiary or contact the Denti-Cal Service Center for additional help at 1-800-322-6384. Do you need a ride to your dialysis appointment? Members who need dialysis can get free rides to and from appointments. Gold Coast Health Plan (GCHP) offers Non-Emergency Medical Transportation (NEMT) for eligible members. Call your doctor and ask about these services. Once you have your ride scheduled, it is important to call the transit company if your appointment changes or if you need to cancel. To plan a ride or to cancel an appointment, call 1-855-628-7433 or TTY 711 (California Relay Services). Click here for some helpful tips when scheduling your next ride. Gold Coast Health Plan (GCHP) cares about you and your family! That’s why the Plan offers Disease Management Programs for Asthma, Diabetes and Pre-Diabetes. The programs are for members and their families with asthma, diabetes and pre-diabetes. The programs are a free GCHP benefit. They offer resources and educational materials in both English and Spanish. Help you create a plan of action for you and your family. GCHP can connect you with English and Spanish classes in Ventura County near your home or work. The classes can help you learn ways to stay healthy and be active. Classes include information about managing many chronic conditions. The classes can also teach you ways to keep your family healthier and more active. For members with asthma, your doctor can create or change an Asthma Action Plan (AAP) for you. An AAP can help you keep your asthma controlled. If you do not have an AAP, click the link below for a sample to show your doctor. Your doctor may use this sample or your doctor may have a preferred AAP. Bring the sample below to your next doctor visit if you need a plan. Partnering with GCHP is easy. All you need to do is call 1-805-437-5588/TTY 1-888-310-7347 and tell us how we can help you and the best way to reach you. You can stop the program at any time. Gold Coast Health Plan’s grievance & appeals (G&A) process provides a mechanism for members to report complaints regarding their health care benefits. Please use the Member Grievance & Appeals Form to submit your complaint. The County of Ventura Human Services Agency (HSA) provides a broad array of services that include the protection of children and vulnerable adults and support for those needing assistance with food, housing, health care and employment. Click here to access the Medi-Cal site. New mothers who complete a postpartum care exam within 3 to 8 weeks after delivery can receive a large pack of diapers. GCHP wants to give your child a $15 gift card for getting a well-child check-up in 2019. The child must have a well-child exam between January 1, 2019 and December 31, 2019. Gold Coast Health Plan (GCHP) has a brochure to help you answer some questions about Medi-Cal and GCHP benefits. This brochure has important phone numbers and information about services. It also talks about member rights and responsibilities. Click here to view the brochure. You can download the Staying Healthy Assessment Tool in English or Spanish. Tri-Counties Regional Center helps people with developmental disabilities of any age with services and support for living, working, learning and recreating in our community. If you are receiving TCRC services and need help with getting care for a medical problem, talk to your primary care doctor (PCP). Your PCP can ask Gold Coast Health Plan’s Care Management nurses to work with TCRC and the PCP to help get your care needs met. Gold Coast Health Plan (GCHP) offers urgent care services to members at no cost. If you need to see the doctor and it is not a life-threatening condition, go to a contracted urgent care center near you. GCHP members may go to any contracted urgent care center. If you think it’s an emergency, call 911 or call your doctor to receive medical care. For a list of contracted urgent care centers, click here.